ASM offers a number of methods of integrating your adoptable animal data with your website. 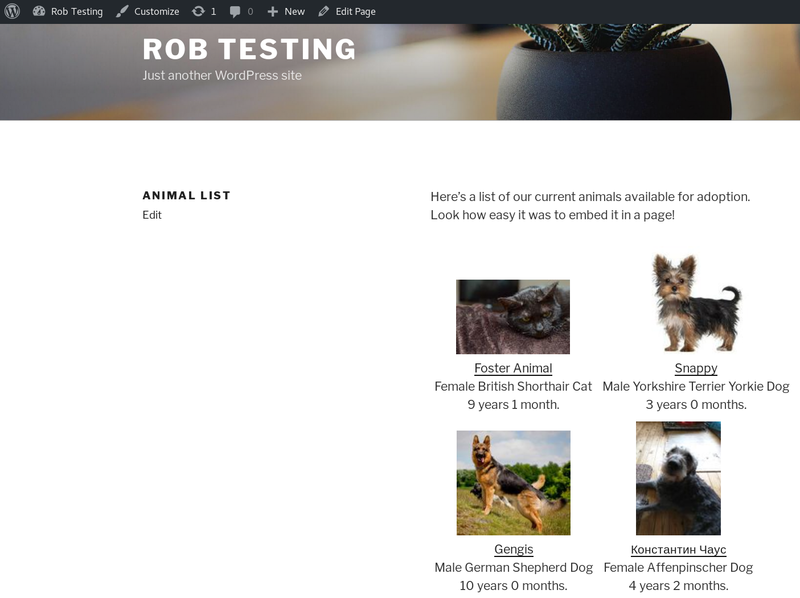 The animal_view_adoptable_js method of ASM’s Service API can generate a list of adoptable animal thumbnails for embedding straight into a div container on a page of your website. This example is for sheltermanager.com, substitute your own URL in the script src if you are hosting ASM yourself. Also, if you are using sheltermanager.com, change ACCOUNT in the src for your sheltermanager.com account. 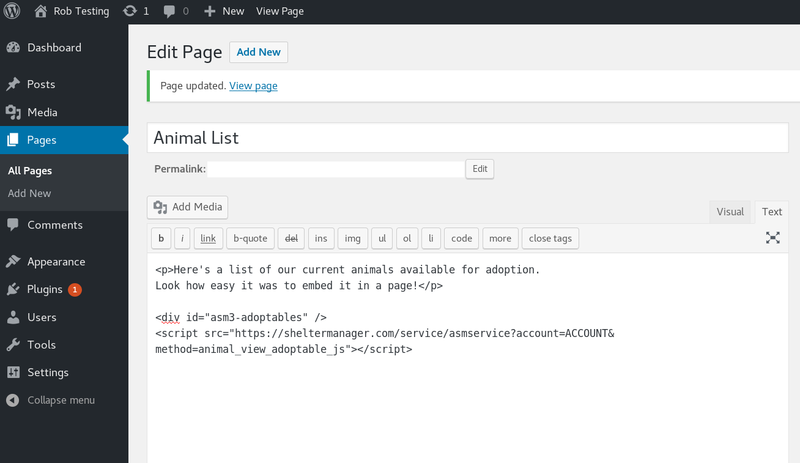 ASM can generate dynamic pages of your adoptable animals on demand with the service API. The HTML templates are those used by the regular HTML publisher. ASM can generate a set of static pages from your data with its HTML/FTP Publishing. You can configure it under Publishing ‣ Set Publishing Options ‣ HTML/FTP Publisher. The HTML/FTP publisher constructs the static pages using HTML templates, which you can create under Publishing ‣ Edit HTML publishing templates and outputs the pages to a folder of your choice, sending them on to an FTP server of your choice. Once the site has been created, you can either link directly to it, or embed it on your website with an iframe tag. Finally, you can use ASM’s Service API to retrieve the adoptable animal information and images programatically yourself and use that information to construct a site in any way you wish.